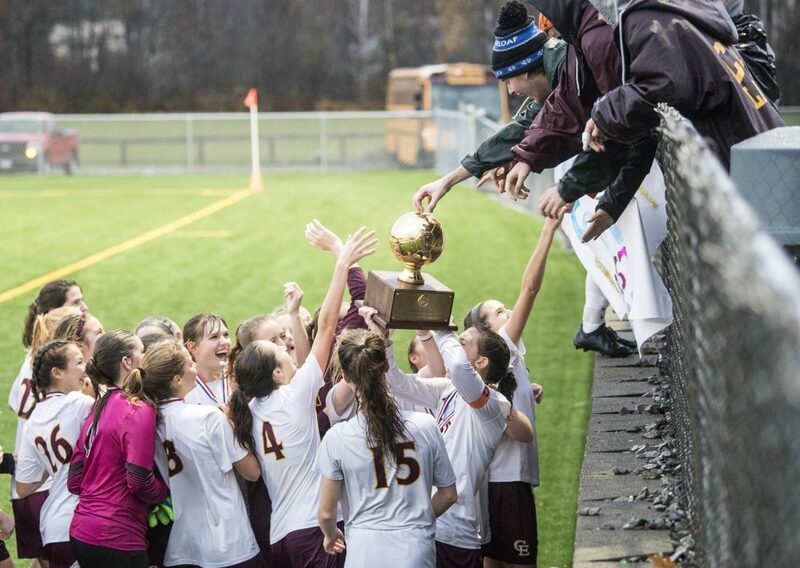 The Capers defeat Presque Isle 2-1 in overtime and capture the Class B state title. 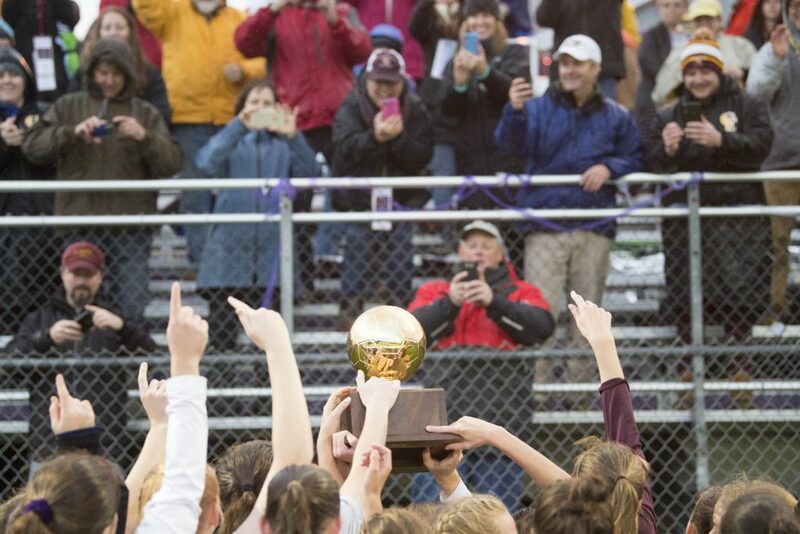 HAMPDEN — It was a perfect season with an imperfect ending. 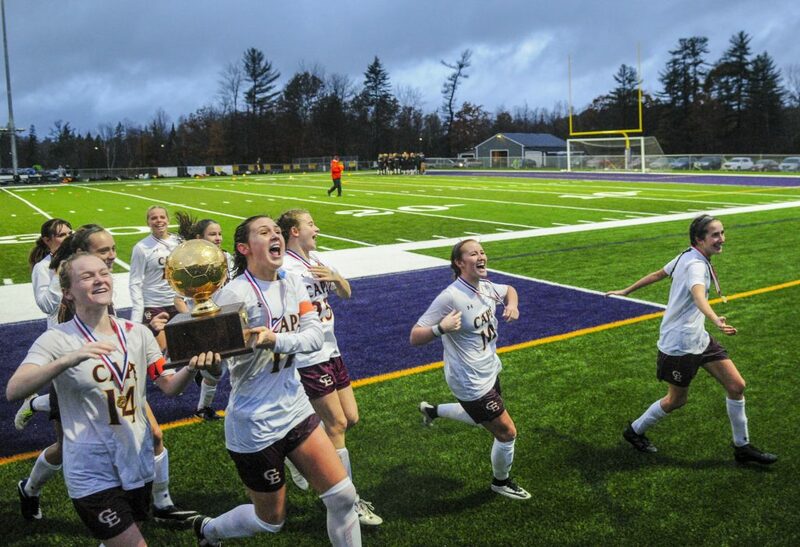 Karli Chapin’s second goal of the game came in the 93rd minute, ending more than an hour and a half of frustration and lifting Cape Elizabeth to a 2-1 win over Presque Isle in the Class B girls’ soccer state championship game Saturday at Hampden Academy. 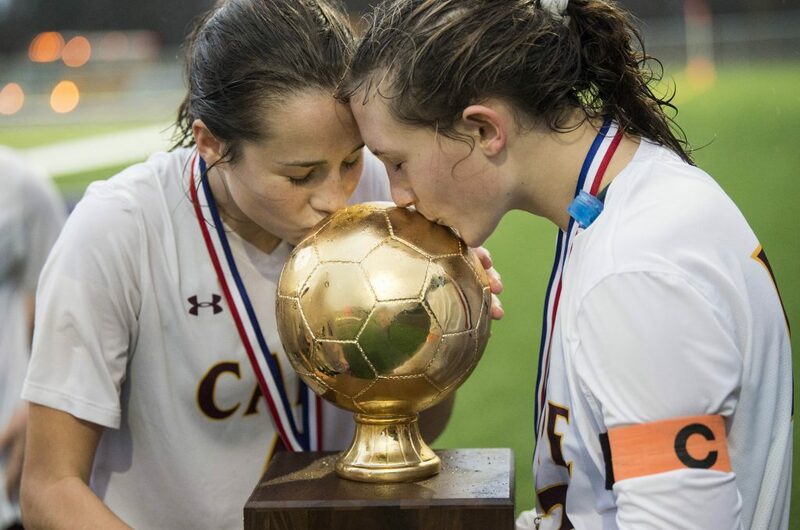 The Capers (18-0) won their seventh state title and first since 2013. 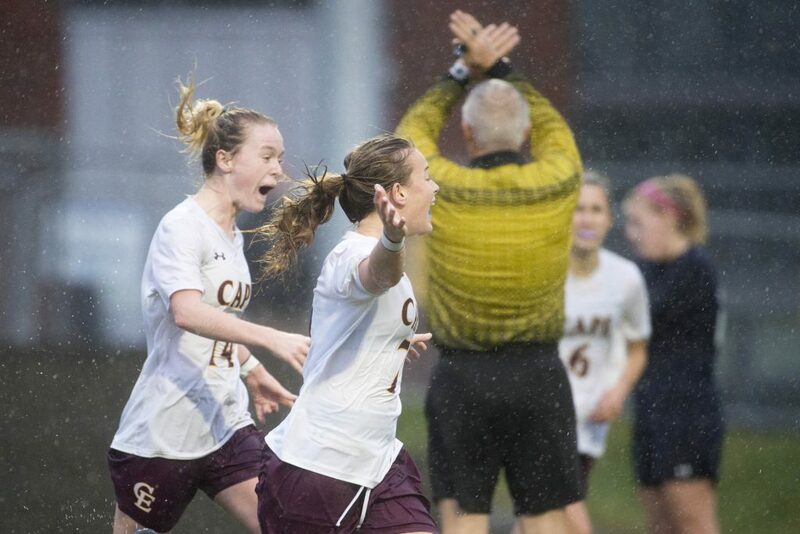 Freshman Maggie Cochran assisted on both Chapin goals. 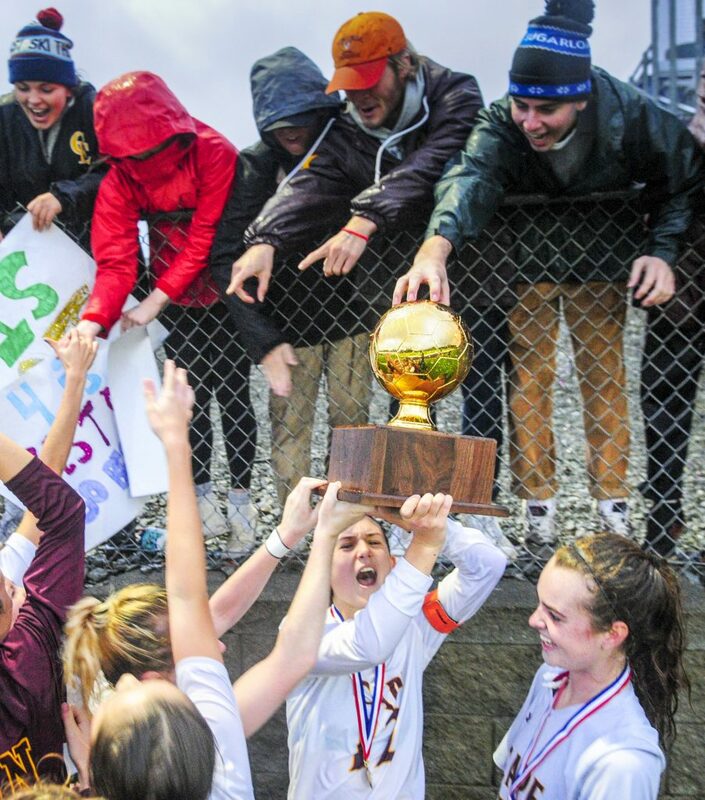 Her cross along the soggy turf from just outside the box snaked its way through the back line and onto the foot of Chapin, who had taken two steps away from goal to remain onside. She turned her hips slightly, swung her right foot over the ball and got enough of it to tuck it inside the left post. It was the 22nd goal of the season for Chapin and came on the Capers’ 37th shot of the game, 18 on target. That Cape had to find an overtime winner was testament to Presque Isle’s good fortune and the Capers’ lack of a finishing touch. 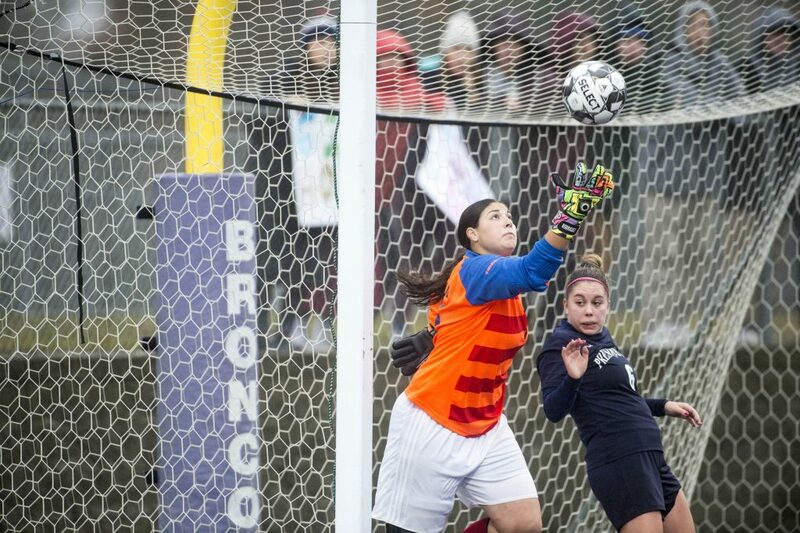 The Capers were impressive in the first half, piling up 17 shots, seven corners and four hit crossbars – three off Chapin’s head. 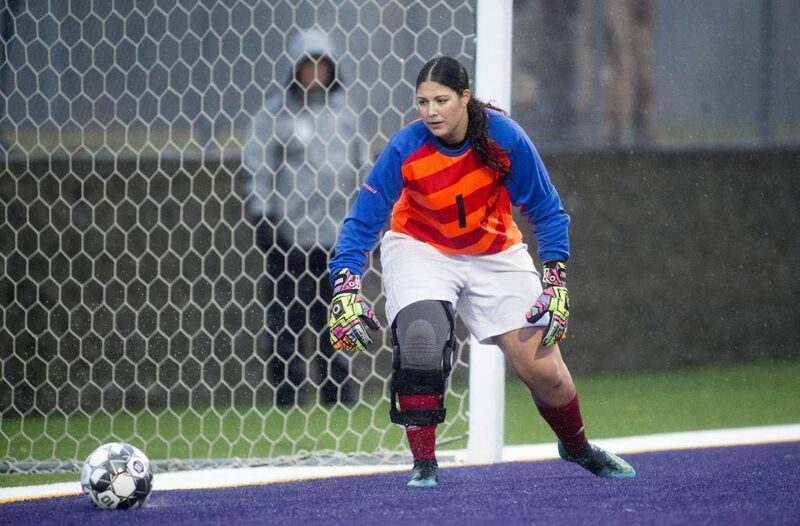 Chapin said it was easy to get frustrated in the first half, including Savannah Rodriguez’s 16 saves for Presque Isle (14-2-2). 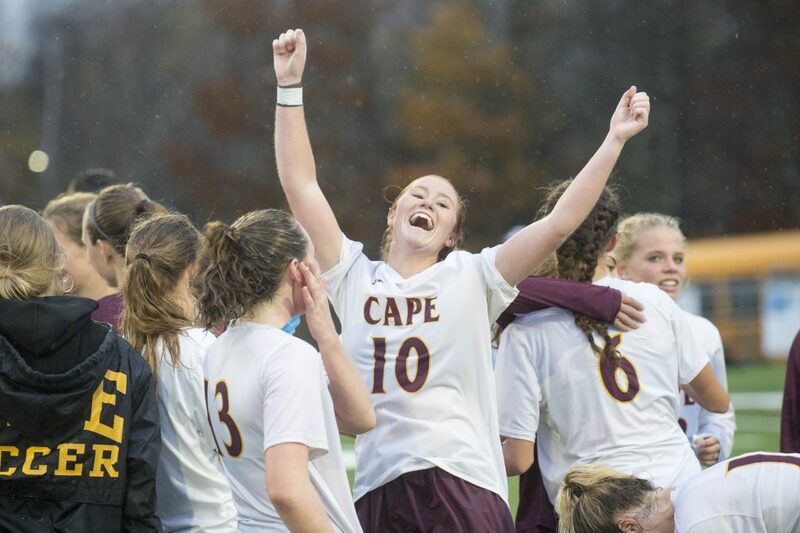 Chapin needed a tying goal in the 61st minute after Presque Isle scored four minutes after halftime. 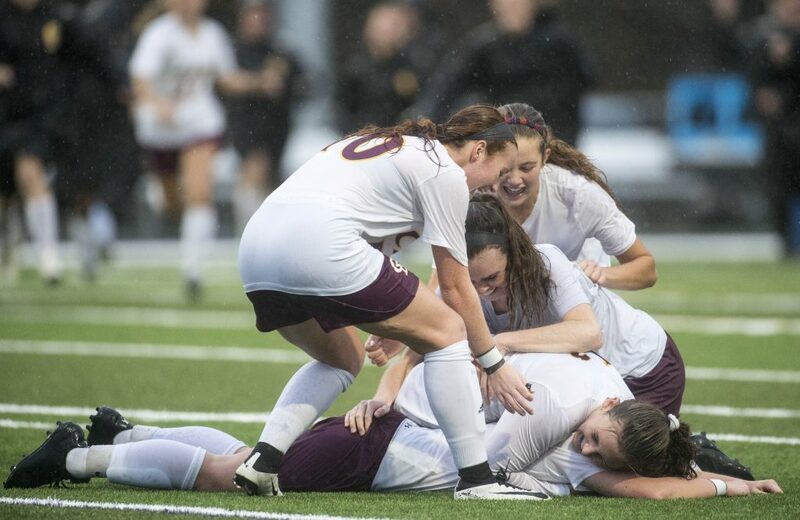 The Wildcats took the lead through Clara Kohlbacher against the run of play. 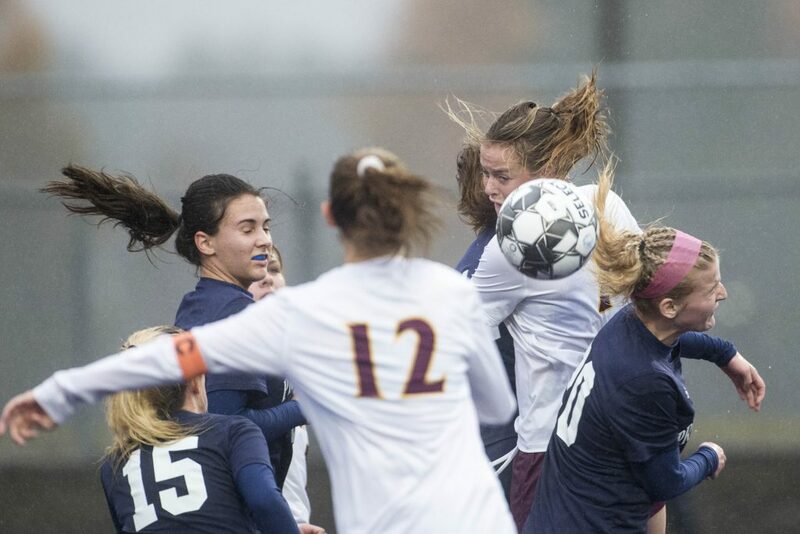 A rare restart opportunity for Presque Isle came near midfield off the foot of Allison Himes, whose wind-aided shot forced Cape keeper Elise Branch into action. Branch (four saves) dropped the ball along the goal line for Kohlbacher to punch home. Chapin answered 12 minutes later, drifting in late on a Cochran cross from the right side to head it into the net.